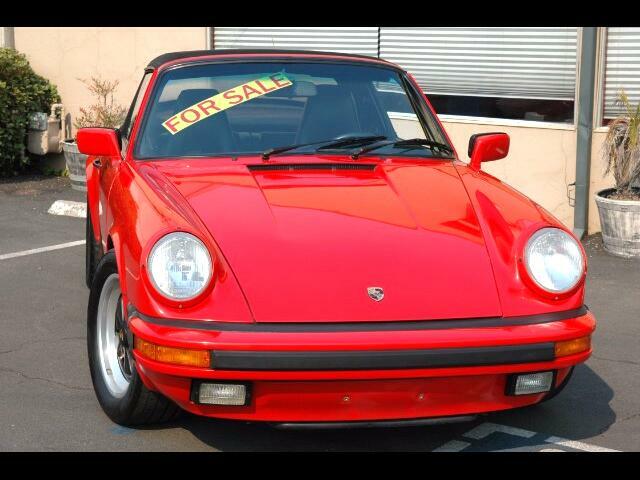 This beautiful 1988 Carrera cabriolet has very low miles and has a guards red exterior and a black leather interior. It is a two owner California car that has been meticulously cared for and garaged its entire life. The paint is original and shows beautifully. All of the body panels have excellent fitment with proper gaps in the seams.There are no dings or dents in the body. The interior is in excellent condition with very slight wear on the drivers side seat bolster. It was ordered from the factory with 16" Fuchs wheels with 6'' riding in the front and 7" riding in the rear. The engine is very strong with excellent compression in all cylinders. The G50 transmission shifts smoothly in all gears. It comes with a Porsche factory tonneau cover, front bra and side mirror covers. All of the books, 2 sets of spare keys and a full tool set are also included in the sale. The Carrera is ready to go into someones private collection or be driven and enjoyed daily.